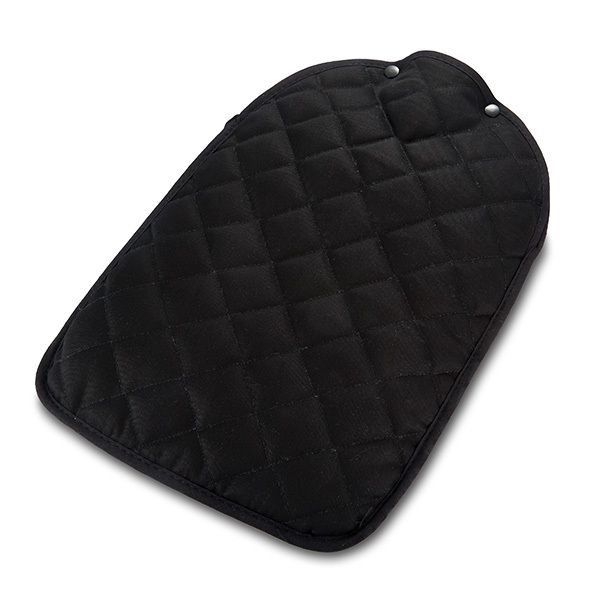 Our black quilted hot water bottle cover is a cosy classic. The perfect way to ensure your hotel guests' toes are kept toasty all night long, these smart, safety conscious, comfortable and hygienic hot water bottle accessories are hotel bedroom must haves. 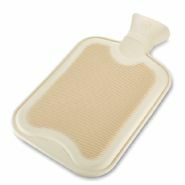 Just the thing to offer hotel guests on a particularly wintry night to ensure they sleep soundly, one of these quilted hot water bottle covers encasing a nice cosy hot water bottle couldn't fail to warm up the chilliest of customers. These black quilted hotwater bottle covers are designed to fit snugly over our essential 2 litre hot water bottles and they feature a 2 popper fastening to hold the hot water bottle securely inside.